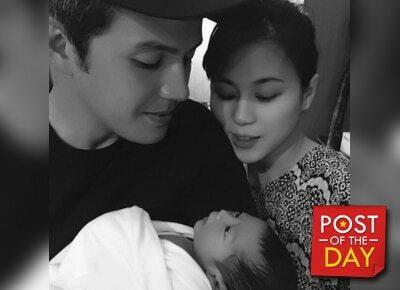 For the first time Toni Gonzaga, Paul Soriano and their firstborn son Severiano Elliott had their family photo taken. The acclaimed director-producer posted their photo on the official Instagram account he made for their son. Baby Seve was born last September 30 via normal delivery.